It will be held in Prague, Czech Republic, in 18th of April, the conference "Agroforestry – an Environmental and Production Alternative in Agriculture“, organized by the Czech Association for Agroforestry, under the auspices of the Ministry of the Environment, the Ministry of Agriculture and the Commission for the Environment of the Czech Academy of Sciences. The Czech Agroforestry Association, in cooperation with other organizations, has held a series of seminars and conferences related to Agroforestry. Now, partner institutions and platforms are organizing a follow-up conference at which new experience, best practices and results of recent scientific research will be presented alongside policies in different European countries where agroforestry has been an integral part of agricultural management for years and decades. 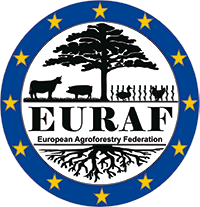 Almost all speakers, who include farmers, representatives of the European Agroforestry Association (EURAF) and scientists with long-term experience with agroforestry, are from abroad. The main objective of the conference is to present existing best practices, research results and policy in countries where agroforestry systems are already in place and subject of research. Check the details of the event here.